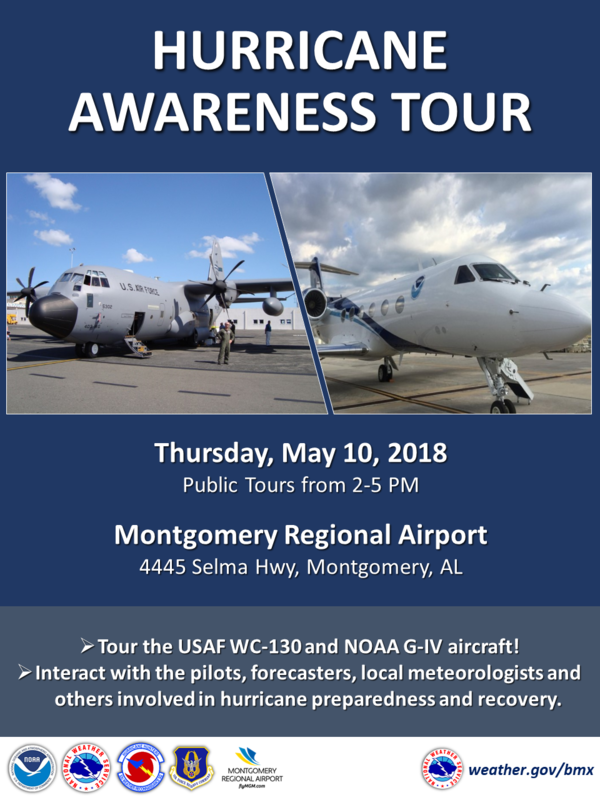 If you are going to be in the Montgomery area on Thursday, May 10th, the 2018 Hurricane Awareness Tour is making a stop at the Montgomery Regional Airport from 2-5 pm. You can tour two hurricane hunter aircraft at this event. Bumping this up as a reminder to anyone in the area!